Radio Mango will now make waves in the land of backwaters and snake boats. 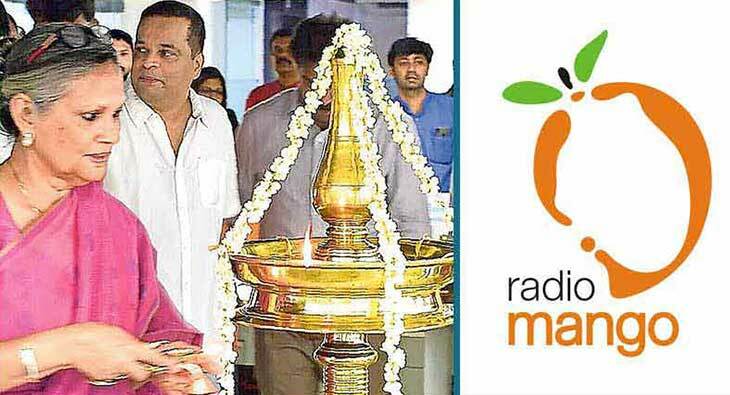 The fifth station of Radio Mango began broadcast in Alappuzha at 7am on Monday, bringing more music and fun to listeners in the district and its neighbourhoods. The broadcast began with a message from Malayala Manorma Chief Editor Mammen Mathew. Balarama Chief Editor Beena Mathew, Malayala Manorama Editorial Director Mathews Varghese, Mango Programmes Director Raveendran Nair and Diya Mathew lit the lamp. Malayala Manorma Deputy Editor Amit Mathew was present. Radio Mango will be available in Alappuzha on FM frequency 92.7. Signals will be available in in neighbouring areas of Kottayam, Changanassery, Ettumanoor, Pathanamthitta, Kozhencheri, Nilakkal, Thiruvalla, Karunagappally and partially in Pala and Ranni. A promo bus – 92.7 Express – giving away goodies to listeners has started its journey in the district. Flagged off from Kochi Manorama office premises by Chief News Editor R Rajeev, the bus will host various innovative game show.